How can we use colors and textures to create mood in art. Mrs. LaVangi's 2nd grade artists have been exploring abstraction and value in their artwork. 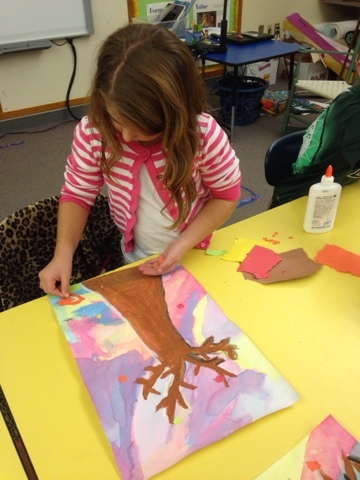 They created abstract backgrounds using brush strokes, watercolor wash, and primary colors to create secondary colors. Artists used these techniques to create the feel of a windy day. 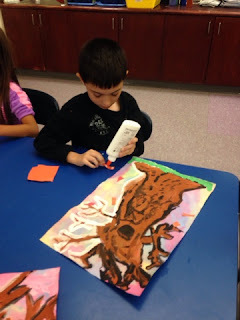 Next they learned how to use highlights and shadows to make their trees have form. Finally they are having a blast using collage to finish their perfect fall trees. Take a look! What do you think of their fall artwork? Did they capture the look and feel of a windy day? 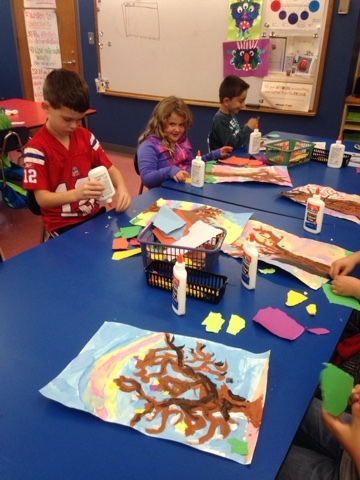 PreK–12 STANDARD 2.1 Elements and Principles of Design: Identify primary and secondary colors and gradations of black, white and gray in the environment and artwork. Explore how color can convey mood and emotion For example, students mix light and dark values of colors or predict the results of overlapping and blending primary colors. I love the trees second graders are making! They definitely capture the look and feel of a windy day! 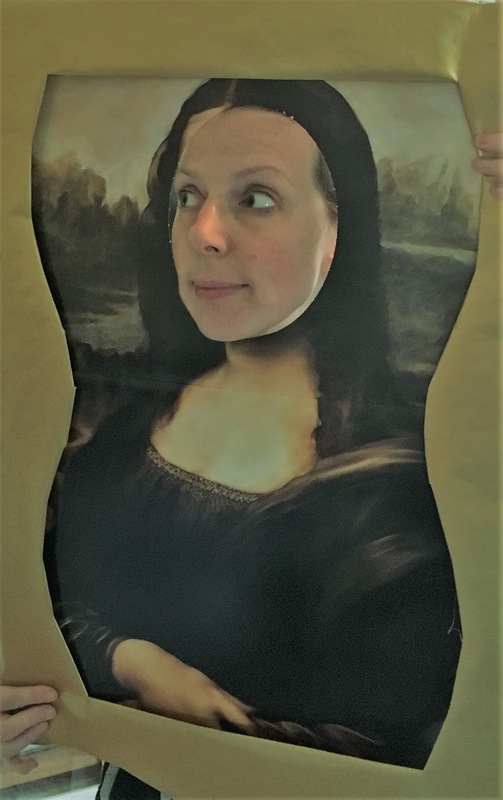 Howe Manning Celebrates Montani Day! 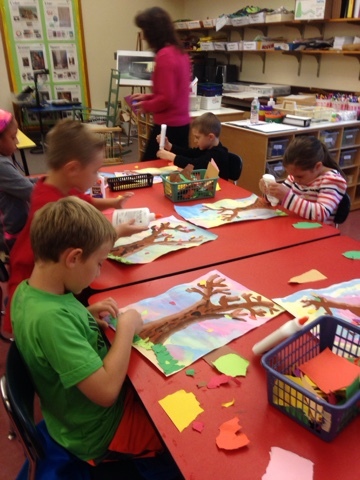 Centers are Open in the Art Room! October Mystery Artist is Here!